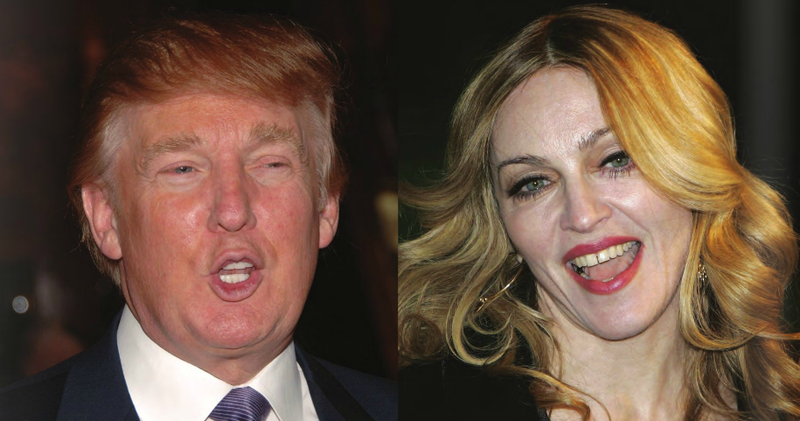 What Do Donald Trump and Madonna Have in Common? Who comes to mind when I say, “The Material Girl?” What about “You’re fired!” If you guessed Madonna and Donald Trump, then congratulations, you are familiar with two of the best self-promoters in the world. How did these people become so well known? They have created a personal brand and are never afraid to promote themselves. Now, let’s say you are a mortgage professional looking to increase your production. You might feel worlds different from Madonna and Donald Trump, but the key to success is the same: Create your personal brand and promote it. In an industry as competitive as the mortgage industry it is important to stand out from the crowd. Your personal brand does that by establishing your connection to your audience. Like “The Material Girl,” your audience will have something that comes to mind when they think of you. The first step to creating your personal brand is to determine your audience. Most mortgage professionals target similar referral sources such as real estate agents and builders. I knew a mortgage professional whose niche market was first-time homebuyers because not only was he young, but also had a baby face. He was actually late-20s, but because he looked so young, many older clients were apprehensive to work with him. He used this to his advantage, however, and began building his brand with younger, first-time homebuyers and became very successful. Consider that your audience establishes your field of expertise. Branding yourself as an expert will make your clients and referral sources want to come to you and only you when they have questions. Remember, you can be an expert to more than one audience, however, when you try to be all things to all people, you may not be memorable to any members of your audience. It is more effective to pick one or two audiences and dominate those. Once you have chosen your target audience, your challenge becomes standing out from the pack. It seems almost too simple, but the best way to stand out is to be yourself and most importantly, be personable. Understandably so, sometimes the hardest part of standing out isn’t being yourself, it is communicating what makes you different to other people. To better communicate your personal brand to a prospect, create your personal branding statement as well as your unique value proposition. Combining these two components will not only communicate who you are, but will make you memorable, ultimately leading to a top-of-mind awareness for your target audience. Once you have decided how you are going to engage your prospect, you can focus on how you are going to reel them in—your unique value proposition. Your unique value proposition is your 30-second elevator speech. Now, we all have heard what an “elevator speech” is and you might even have one prepared. However, I challenge you to ask yourself how effective it is. Your unique value proposition must be more than something you say to convince someone to do business with you. It’s what the customer will experience as a result of doing business with you. Like any marketing tactic, you will not sell much if you are focusing only what you offer, you must explain how it will benefit the customer. Also remember, you may need multiple value propositions for each target audience. For example, there will be different benefits for a referral source who sends you business than a customer who uses your services. To create an effective unique value proposition, using a referral source as an example, imagine a scenario where a referral source had an ideal experience with you. List the exact results they achieved by working with you, for example, a timely closing, a happy customer, etc. Then think about what other results happened, for example, reduced stress, enhanced reputation, etc. Lastly, ask, “What would the cost have been if they had NOT done business with you?” Examples include loss of future referrals, loss of commission, etc. Once you have identified the benefits one will receive by working with you and how one could be hindered by not working with you, put them into a few sentences to create your unique value proposition. For example, “Doing business with me means you will get more business and make more money. Your closings will close on time, every time. Your customers will share their experience with everyone, become your sales force and drive endless referrals. And most important, you will receive your hard earned commission on time.” After hearing this, how could you not want to work with this person? He is confident, he will help your customers and more importantly, he will make you more money. By combining your personal branding statement and unique value proposition, you will be able to get your target’s attention then ultimately, get their business. Your personal brand is all about learning to use what you already have and turning it into your moneymaker. All you need is to be yourself! Just ask Donald Trump and Madonna! Casey Cunningham is CEO of XINNIX, having co-founded the company in 2002. She has more than 26 years of diverse retail mortgage sales and leadership experience, beginning her career as a loan officer and quickly became a top producer with an annualized production of $60 million and 500 closed loans. This article originally appeared in the February 2016 print edition of National Mortgage Professional Magazine.